This chic duplex would be a wonderful place to call home in Barcelona. 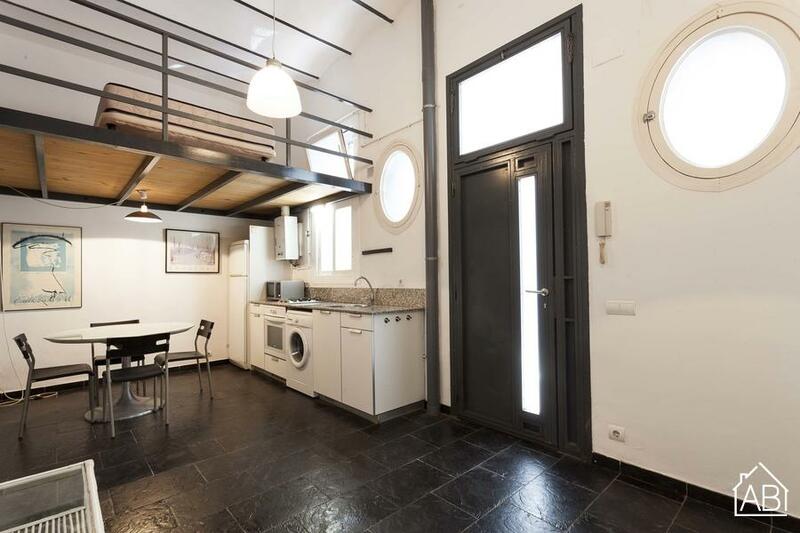 Located in the quirky neighborhood of Barceloneta, once the fishermen´s quarter, the area has a lively atmosphere and is just a stone´s throw away from the wonderful beaches of Barcelona, thus allowing you to perfectly combine city living and the Mediterranean lifestyle. The open plan style of the duplex has a bright, airy feel to it, and is a blank canvas waiting for your creative touch. There is a bedroom on the upper level, and the property has a fully equipped kitchen and clean, modern bathroom.